Some music videos go big. Some music videos go home. But there is one music video that goes larger than life. 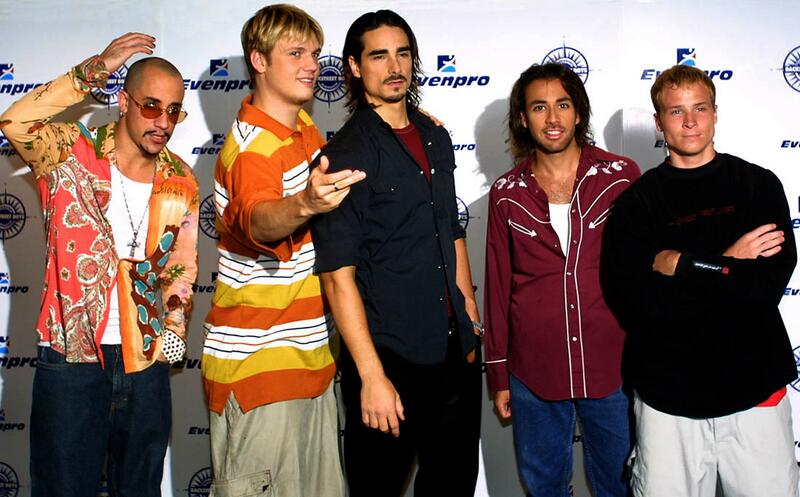 In September of 1999, the Backstreet Boys released their music video for "Larger Than Life," the second single off of third studio album Millennium. The Joseph Kahn-directed clip takes place in the year 3000, and it does not pull a single futuristic punch: There are dancing robots, there are holograms, there is a room full of a gelatinous substance, there is at least one interstellar battle, and there are hoverboards. It is a feast for the eyes, a treat for the ears, and a hug for the soul. As much as I stan for BSB, this song, and this music video, I would be lying if I said I don't have any questions about the space adventure depicted in the 15-year-old clip. If you know the answer to any of the Qs below, please advise. Where is “We’ve Got It Going On” coming from? Is someone on that ship blasting the radio at full volume? Is every radio station a BSB-only radio station, or is it just a really swell coincidence that every station happens to be spinning Backstreet Boys records at the same time? If the former, where can I sign up for the BSB-only radio package? If it's not the spaceship radio, then what is it? Does outer space sound a lot like BSB-only radio? What's up with Howie’s Jell-O room? <img src="http://lovelace-media.imgix.net/uploads/51/51d78320-9886-0133-b315-0e438b3b98d1.gif?w=320"/> How is Howie able to breathe in the Jell-O room? How does he feel about being in that spooky space cave? Or is the choreography pre-programmed? Like, is gelatin decor going to be all the rage on Pinterest? Will the repurposed Jell-O cup be the new repurposed mason jar? What does it the battle mean? Can't you see, can't you see/How this video's affecting my reality?